Giving prevents is a highlight part in Christmas, and people especially children believe that Santa will bring them their desired gifts if they behave nice. How terrible it will be if Santa stopped giving children surprises?! 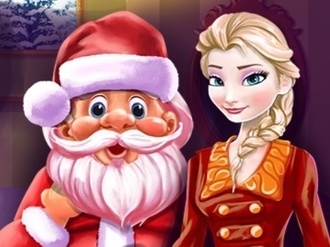 Snowball Santa is a Christmas game on www.bestgames.pk where you help Santa Claus to knock out evil pumpkins, who are tired of being overshadowed by the festive Christmas period and decided to take over Christmas time. They are intent on stealing all the children’s Christmas presents from Santa’s workshop, so to stop them, you should guide your hero down the snowy mountain and defeat all the nasty bad pumpkins. Try not to hit the trees and miss as less enemies as you can for a chance to summit your score.